Every year, about sixteen of our nation's brightest students head to Washington, D.C. to discuss the issues facing nuclear energy, policy, education, and research with key policymakers. Traditionally comprised of only nuclear engineering students, the Delegation has broadened over the years to include students from a diverse assortment of disciplines including, but not limited to, non-proliferation, national security, health physics, and environmental science and policy. These individuals are the voice of today's students and tomorrow's leaders in the nuclear industry. The Delegation, as a representative cross-section, seeks to express the views and policy of the nuclear science and engineering student population. As students, we find ourselves discovering a field that holds promise for a bright future. There is an interest and enthusiasm for the nuclear sciences in American's youth, and we look for the continued support of programs that will benefit both students and society. 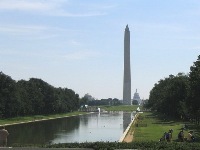 The Washington Nuclear Engineering Student Delegation is an independently organized program with the goal of allowing students studying nuclear science and engineering to acquire hands-on experience with the political process to learn how they can make a positive impact on the future of nuclear energy, policy, education, and research. The Delegation was formed in 1994 in response to the elimination of nuclear research reactor program funding in the FY 1995 budget. Funding was reinstated as a direct result of students' interactions with lawmakers. Owing to the success of the first endeavour, return trips were organized every year since. Since the founding of the Delegation, there have been over 180 delegates from 34 of the nation's most prestigious universities. Over the years, these delegates have met with many senators, congressmen, the Secretary of Energy, the Advisor to the President on Science and Technology Policy, several NRC commissioners, staff from the Senate and House Energy Committees, presidents and CEOs of companies, and other industry leaders and policymakers. 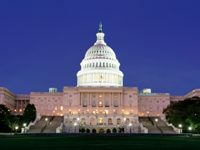 Each year, the Delegation convenes in Washington and for a day formulates a set of policy statements that convey their views on nuclear energy, education, and research. Then, for the following three days, they meet with policymakers on Capitol Hill to deliberate over the subjects they have identified. Because many of the policymakers and staff on Capitol Hill do not have a technical background, it is important that the members of the Delegation inform them of how students across the nation feel on relevant issues.